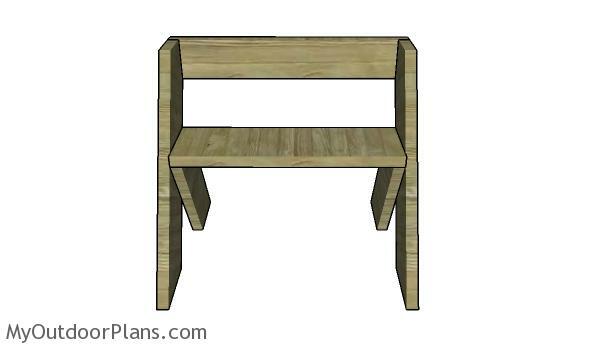 This step by step diy project is about Leopold bench plans. 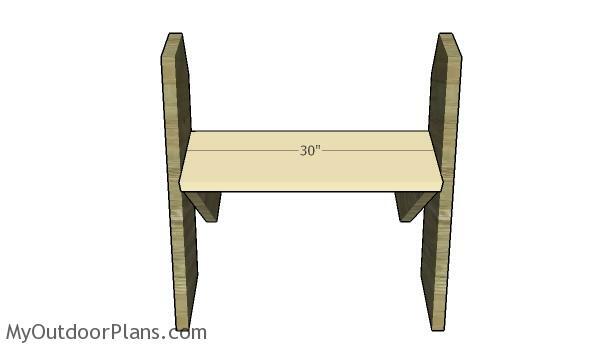 I have designed this simple Leopold bench so you can build this well known project in a few hours with minimal effort and money. Make sure you invest in weather resistant lumber, such as pressure treated lumber, cedar or redwood, as the bench will be most likely exposed to the elements. Take a look over the rest of my woodworking plans, if you want to get more building inspiration. The first step of the project is to build the front legs. 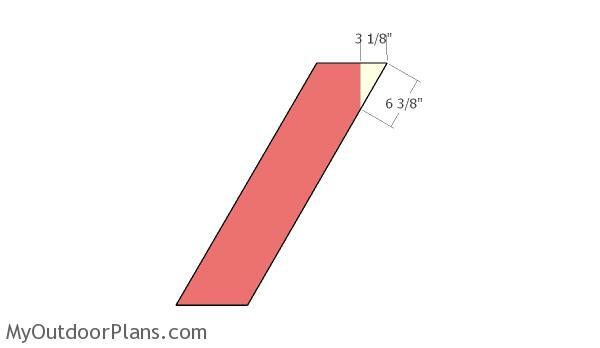 Cut both ends of the 2×8 beams at 60 degrees by using a miter saw. Smooth both ends of the legs with sandpaper, so you can clean edges. 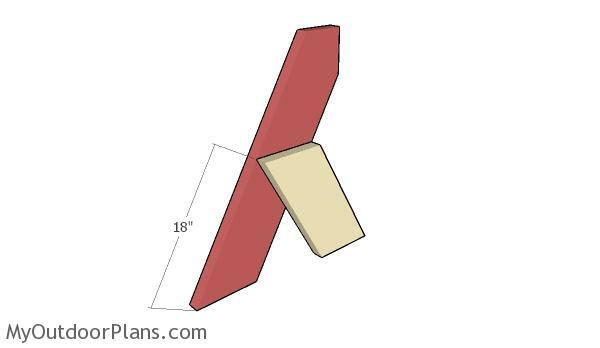 Continue the woodworking project by making another cut at the top of the legs. This cut will help you attach the backrest easily. Take accurate measurements and smooth the edges with sandpaper. 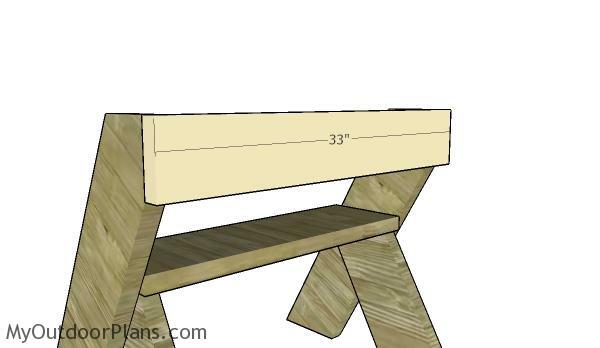 Next, you need to build the back legs for the Leopold bench from 2×8 lumber. Cut both ends at 60 degrees, as in the case of the front legs. Continue the project by assembling the two sides of the Leopold bench. Lay the legs on a level surface so you can align the components in a professional manner. Add waterproof glue to the joints, drill pilot holes and insert 2 1/2″ screws to lock everything together tightly. 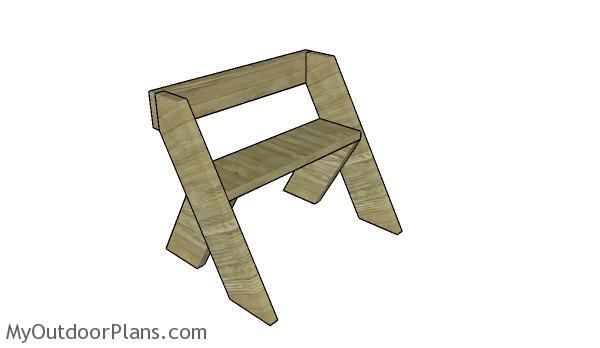 Build the seat from a piece of 2×10 lumber. Center the seat to the back legs, drill pilot holes at both ends and secure it into place with 2 1/2″ screws. In addition, drill pilot holes through the sides and insert 2 1/2″ screws into the seat. 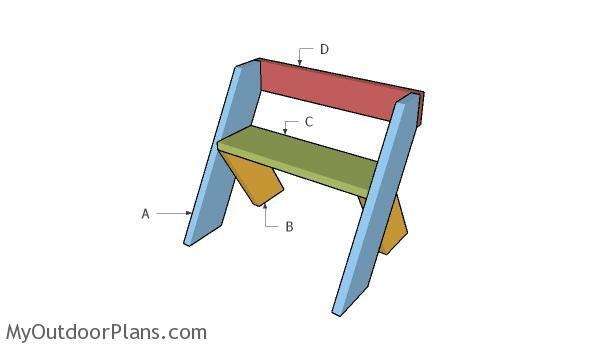 Build the backrest from 2×6 lumber. Align both ends with attention, drill pilot holes at both ends and insert 2 1/2″ screws into the legs. After assembling the Leopold bench you need to take care of the finishing touches. Fill the holes with wood putty and smooth the surface with 120-220 grit sandpaper. Apply a few coats of stain and then spar varnish, so you can protect the components from the elements. This is an unique project, so if you are looking for a woodworking project with a distinctive look this should be on your list. This Leopold bench can be built in a few hours, but it will shortly become a conversation piece due to the unconventional design. If you build this, I would love to see your project. This woodworking project was about free Leopold bench plans. If you want to see more outdoor plans, check out the rest of our step by step projects and follow the instructions to obtain a professional result. Hi Jim. In the instructions I say to cut both ends at 60 degrees. 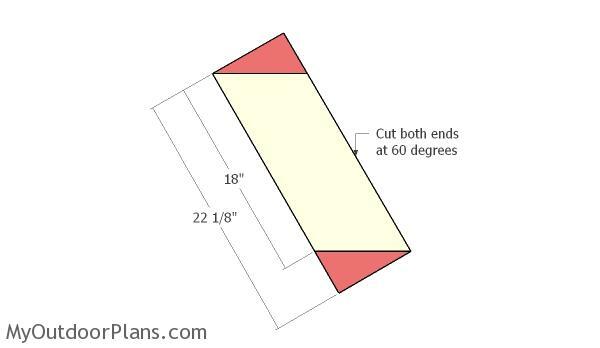 This means you need to set the miter saw at 30 degrees, and once you make the cuts, the board will have 60 degree ends. I hope this is more clear now. Hi. I’m a bit confused now. I don’t have a mitre saw so am doing it all by hand. Does each end have to be 60 degrees, or 30 on the top, and the 30 on the bottom? Apologies for sounding a bit daft, just really confused. Thanks. You need to make 30 degree cuts. 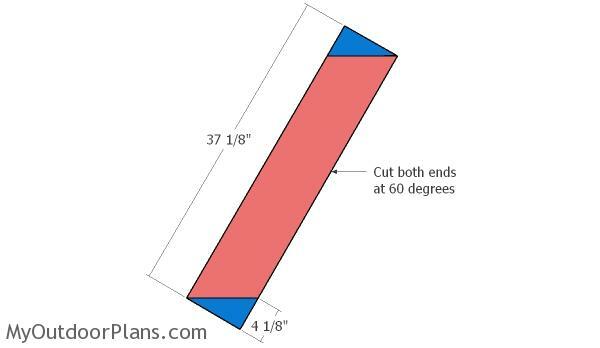 After you make the cuts the ends will have 60 degrees (90 degrees – 60 degrees). You’re welcome. Looking forward to seeing your projects!